The best recipes for an all-out New Year's Eve bash. New Year's Eve is a chance to go all-out. 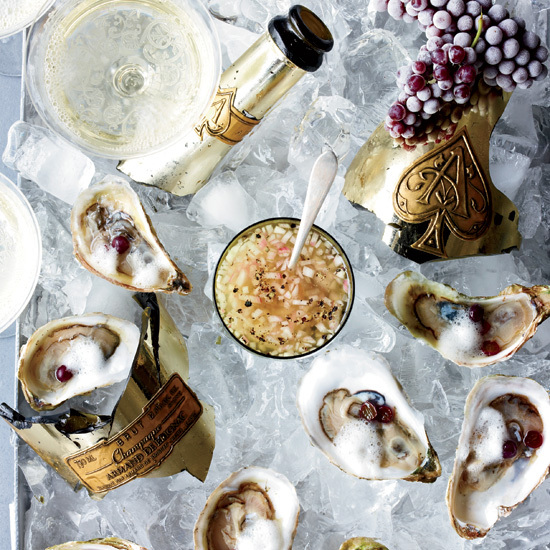 Here, the best recipes for elegant hors d'oeuvres like oysters topped with Champagne foam (chefs Mario Carbone and Rich Torrisi's homage to Jay-Z, left), indulgent main courses like slow-braised osso buco and festive cocktails like sparkling, fruity punch.